Beauty close to home: Cumberland Gap, Tennessee | Oh, the Places We See . . . Sometimes we travel near and far in search of adventures and great places to see, but actually there’s grand beauty in East Tennessee that we sometimes take for granted. 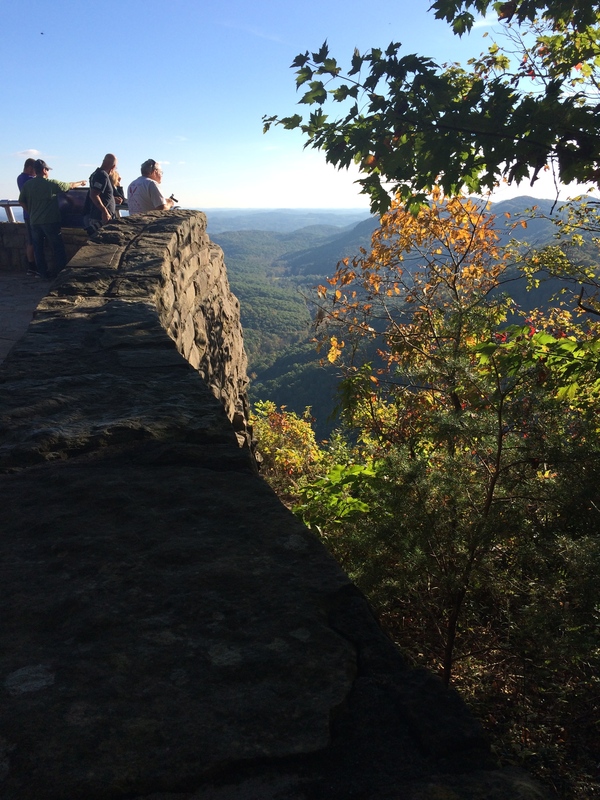 Thus it was on a recent weekend that we headed north about 60 miles from Knoxville to Cumberland Gap for a glimpse of what we hoped would be a spectacular fall view. Although the colors haven’t turned brilliant yet, you can sense the beauty all around at Cumberland Gap from Pinnacle Overlook. 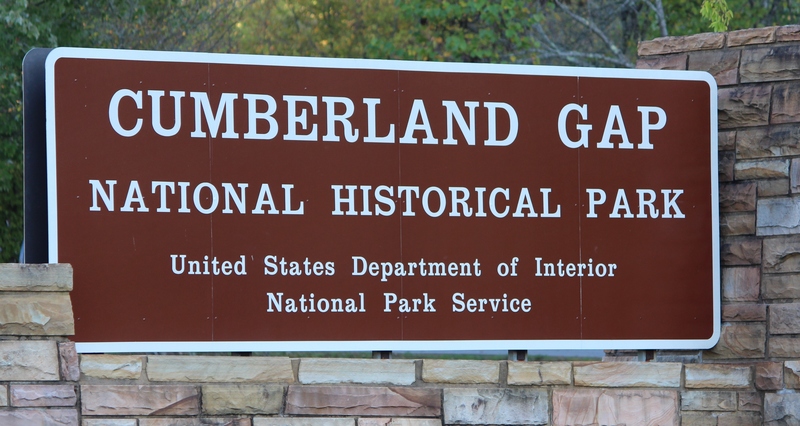 Established as a National Historical Park in 1940, Cumberland Gap stands at the entrance to three states: Tennessee, Kentucky, and Virginia. Although it’s known as the gateway to the west — especially by the explorers who welcomed the site of a passageway through the Appalachians — Cumberland Gap National Historical Park could be called wilderness even today since 14,000 of its 24,000 acres are managed as such. 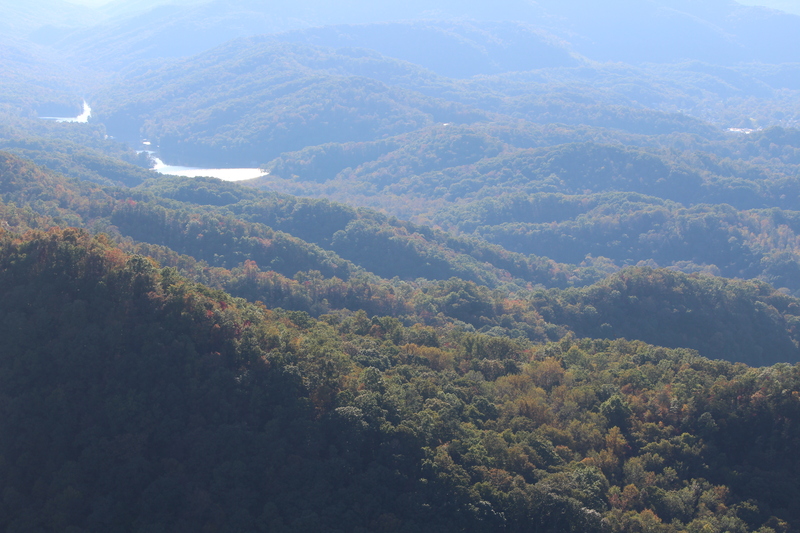 Even without the fall colors, the ridges and valleys are a sight to behold in the afternoon sunlight. Our trip was “pre-fallish,” if we were seeking lush, rich autumn colors. But definitely no disappointment. Perhaps those who read this post and see the pictures will be able to schedule a trip for later in October when a patchwork of yellows, oranges, and browns will spread out over the ridges and valleys. 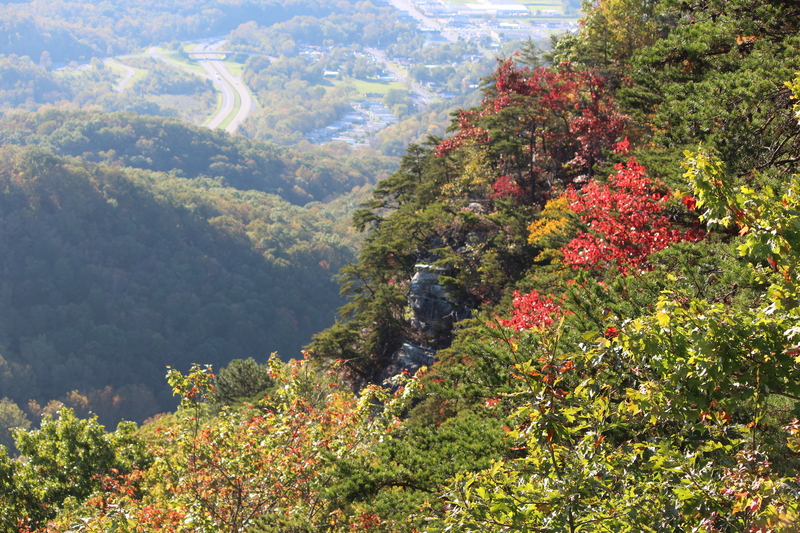 Touches of fall color dotted the mountains at Cumberland Gap. 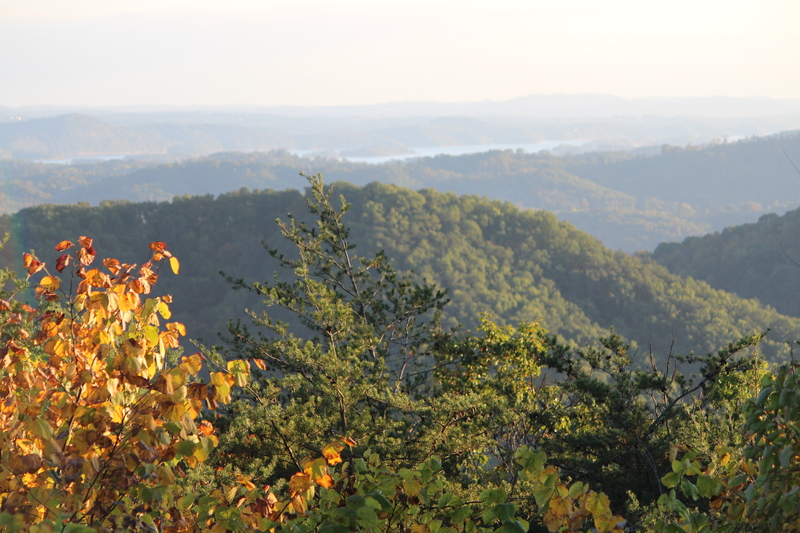 Be sure to take the short, easy walk to Pinnacle Overlook and gaze across the landscape. Then look down at the little town of Cumberland Gap, Tennessee, and out towards Middlesboro, Kentucky. 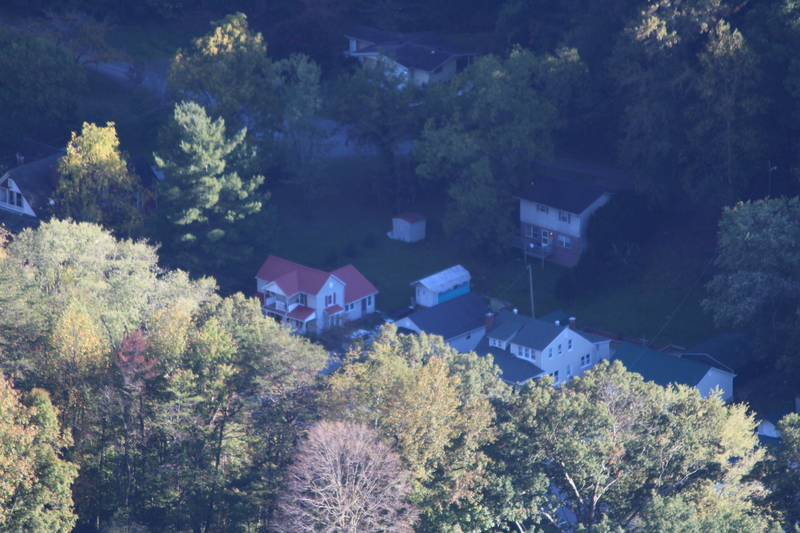 You can look down on the little town of Cumberland Gap where overnight lodging and restaurants are available for travelers to the area. 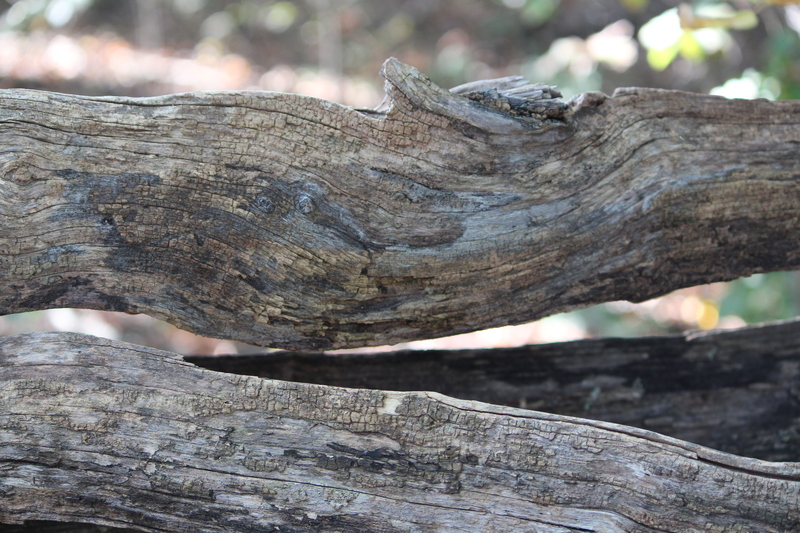 And enjoy the flora and fauna bordered by aging split rail fences along the walkways. On the return trip to Knoxville, take Highway 25E toward Bean Station where you’ll be rewarded with this view — spectacular with or without fall colors. 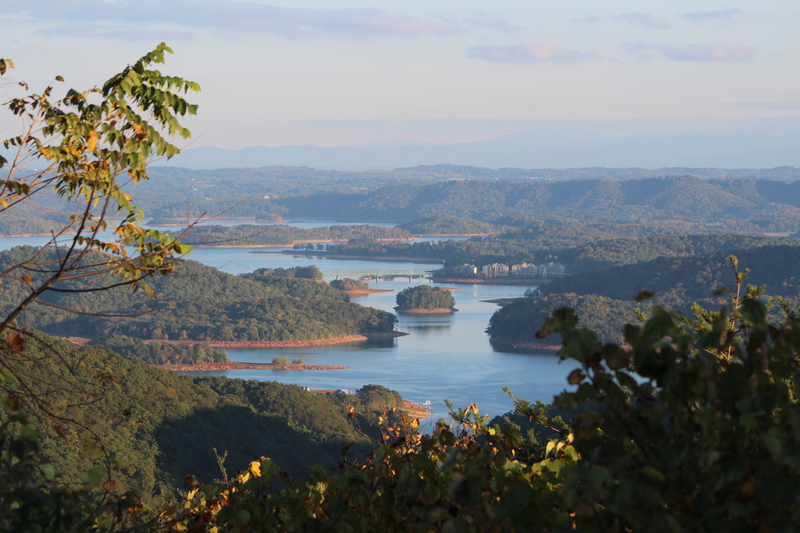 View from Bean Station overlook on Tennessee’s Highway 25E — just a touch of color for now, but it’s coming! We returned home, thankful that we’d spent the day in our home state yet wondering why we don’t do it more often. After all, the natural beauty of East Tennessee is hard to beat! Boomer Travel tip: Much of the scenic area known generally as Cumberland Gap can be seen by car. However, the walk to Pinnacle Overlook is an easy one, so we recommend getting out and walking the 600 feet to the viewing area. You’ll be glad you did! This entry was posted in Tennessee, Travel and tagged Bean Station, Cumberland Gap, Cumberland Gap National Historical Park, East Tennessee, Knoxville, Pinnacle Overlook, Tennessee. Bookmark the permalink. Love the close-to-home travel … especially with places like this. You are so right. We have a lot to see in Knoxville even. I think if we keep hammering away at it, we’ll do OK, but there’s just never enough time, is there? Thanks for stopping by our blog. great photos, Rusha – really shows the beauty of the paradise where we live! Wish we hadn’t been there right as the sun was staring us down at the peak. But most pics show the lovely landscape anyway. Wishin’ we could be there at the crack of dawn to see how morning unfolks, but that would take a lot of effort on our part! Thanks! Appreciate your stopping by. 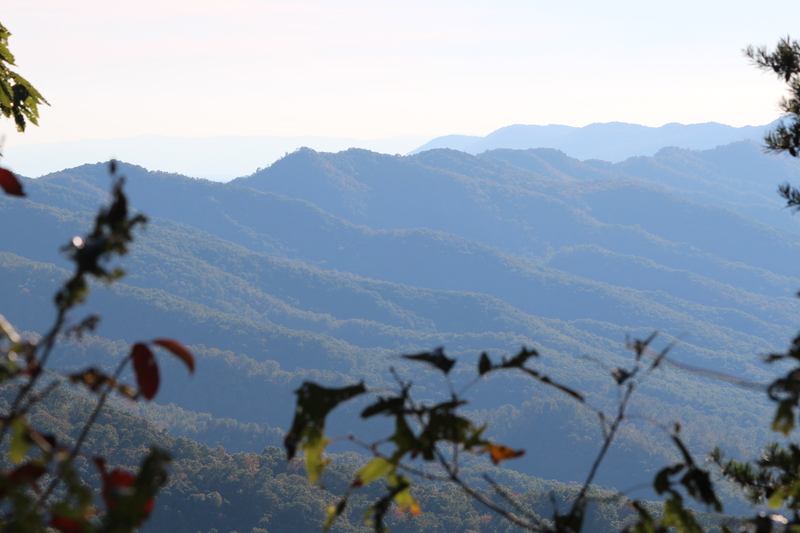 We love the Smokies, but there is still so much more to see. Thanks for sharing this. So very true. We have yet to see all of Tennessee. Probably never will. But we’re scratching away at it as we speak. Hoping to go back up north this week for color changes. Thanks for commenting. It is so much more fun traveling in the fall. You’re right, according to my tastes. Although I will have to say, spring is beautiful, too, in East Tennessee. Thanks for checking us out. Isn’t is funny how often we go in search of beauty in far away places but seldom visit our own backyards!? If you get the kinds of color we’ve been having this years, it will be incredible in a few weeks! I hope we’re as lucky as you are. We’re thinking of heading to W. Virginia. 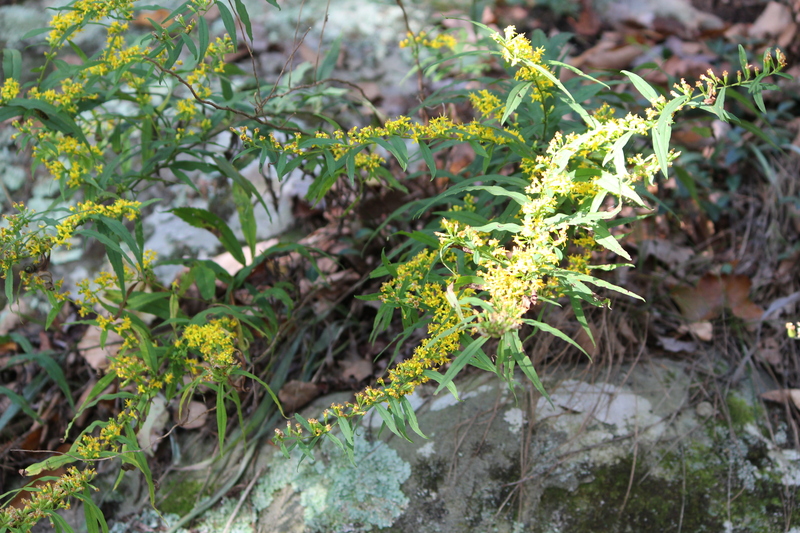 My husband’s never seen that state in October, so if we find spectacular color, you’re likely to see it on the blog! Thanks for taking a look at one of our favorite spots in East Tennessee. Wish we hadn’t been so early this year, but maybe we’ll just have to go back! We’ll be traveling through there in a couple of weeks. You’ve whetted my appetite. You should be coming at just the right time. The other place to go, of course, is Great Smoky Mountain National Park — lovely, too! Welcome to East Tennessee!! !